Creativity can be a fierce force, but it is also a fragile thing. Whatever it is, it is something which needs and should be encouraged, nurtured, and stimulated whenever possible. 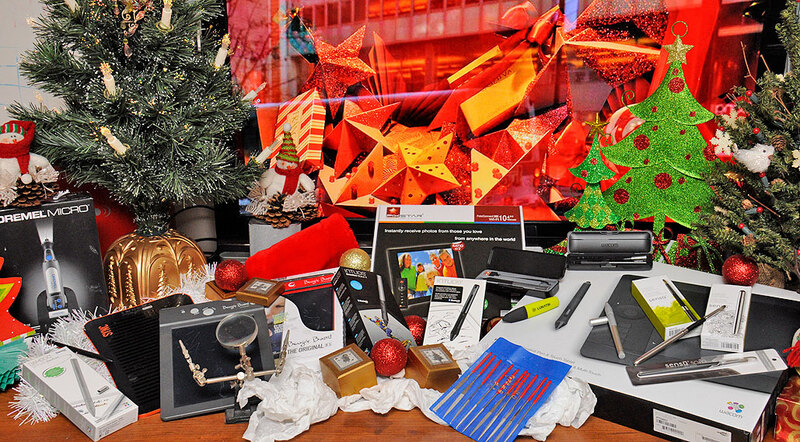 This is what the Creative Tools GiftGuide is all about this year. 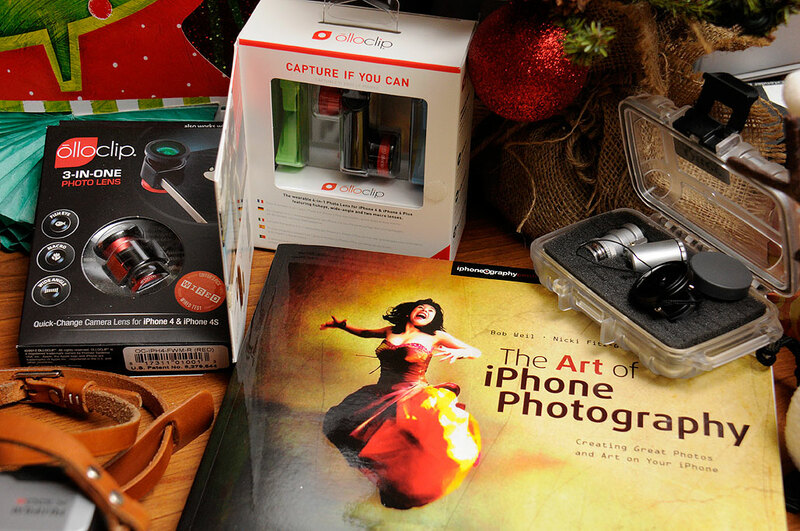 iPhone photography: While DSLRs may take a better photo, what many may not know is that the always-present iPhone camera is a lot more capable as a creative tool than most realize. Here are two recommendations for those who may be interested in learning how to use the iPhone camera to its full creative potential. Wacom tools: Wacom, a name synonymous with tools for the creative digital crowd, has enhanced the capabilities of Photoshop users with digital drawing tools for decades. When iPads freed the creative minds from the confines of the desk, Wacom kept up with the change by developing pressure-sensitive pens and styli for the new tablets. Bamboo Stylus Fineline: With palm-rejection and supported by a wide range of apps, this iPad stylus allows a natural drawing experience on the touch screen. The advanced thin tip with pressure sensing gives precise control whether writing or sketching. Intuos Creative Stylus 2 : An update to the first pressure-sensitive version with a finer point, 2048 levels of pressure sensitivity, and the feel of the natural smoothness of a traditional brush or pen. 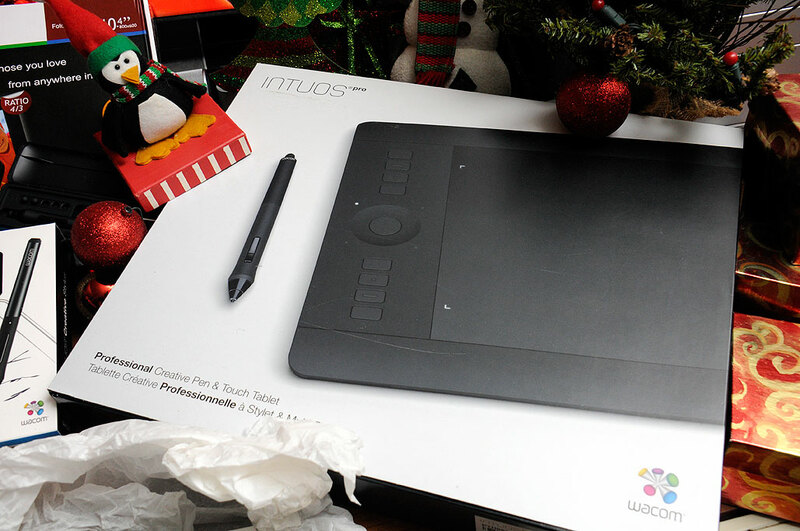 Intuos Pro Pen Tablet: Precision, control, and speed are essential for a creative workflow. This pen tablet combines Wacom’s finest pen capabilities with intuitive multi-touch support and pressure-sensitive capabilities to enhance creative software such as Adobe’s Photoshop. If it is not a Wacom, it might as well be a box of crayons. Sensu brushes: We have been Sensu fans since our first attempt at making our own digital brush for the iPad. Sensu artist brushes are the ultimate tools for digital artists. They deliver an authentic painting experience on your tablet or smartphone. They have developed a brush with the subtle properties of hair taper, flexibility, and strength for use with the iPad. Their brushes are the only ones with the springiness that makes the experience of working on the touch screen feels like real painting. Sensu brush : A brush and a stylus combo for capacitive devices like the iPad, iPhone, Surface, Galaxy and Nexus devices. The rubber stylus is exposed when the brush is closed. This stylus is great for sketching and writing or as a general navigation tool. Available in two finishes: chrome and matte black. Sensu Solo : The advanced hair technology and construction creates a spring and responsiveness that feels like real painting. The traditional shape of Solo’s handle is milled of solid aircraft-grade aluminum, lending just the right weight and balance. Available in five beautiful satin-anodized colors. NeoLucida : Trace What You See! The NeoLucida is a drawing aid that allows anyone to trace what they see. It’s a modern reinterpretation of the camera lucida, an indispensable drawing tool popular in the days before photography. This fantastic tool from an earlier time, reborn with modern materials, will be a fantastic gift for those who draw or want to learn to draw. PixStar WiFi-connected Digital Picture Frame : Want to be able to easily show and/or share your digital photos and drawings? One easy way is with a WiFi-connected display. A lot of makers of digital photo frames have come and gone. PixStar is one of the last ones standing. It may be because they offer a better frame. 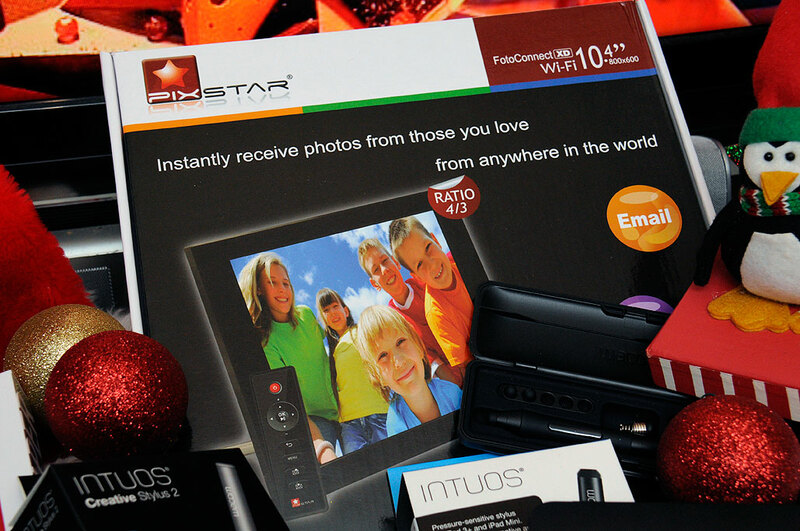 It may also be that unlike other photo frames, the PixStar comes with a large list of outstanding FREE services (unlimited online storage, email accounts for anyone to send photos to the frame, etc), social media integration (FaceBook, Flickr, etc), and other services (weather updates, radio stations, etc). No other digital photo frame offers or does more! Dremel Tools: Digital creations are fantastic, but sometimes it is good to get one’s hands dirty and make something you can actually hold. When we went looking for suggestions, we realized we needed to look no further when we came upon the Dremel Micro and the FortiFlex. Dremel Micro : The Dremel Micro is the perfect combination of size, ergonomics and power to make it the tool for precise and light-duty DIY tasks. Designed to be held between the thumb and forefinger like a pencil, the Dremel Micro allows a grip that is close to the work-piece for superior maneuverability and control. Dremel FortiFlex : Power meets precision with the Dremel 9100 Fortiflex heavy duty flex shaft tool. The Fortiflex is designed to be the ideal rotary tool for people engaged in detailed projects that requir both precision and power. The powerful 2.5 AMP (1/5 HP) motor provides high torque at low speeds. The Fortiflex is controlled with a variable-speed foot pedal and allows the user to match tool speed to the application, hands-free. Diamond files : While Dremel tools make quick work of cutting and sanding tasks, nothing provides wide-ranging control like a good set of hand tools. 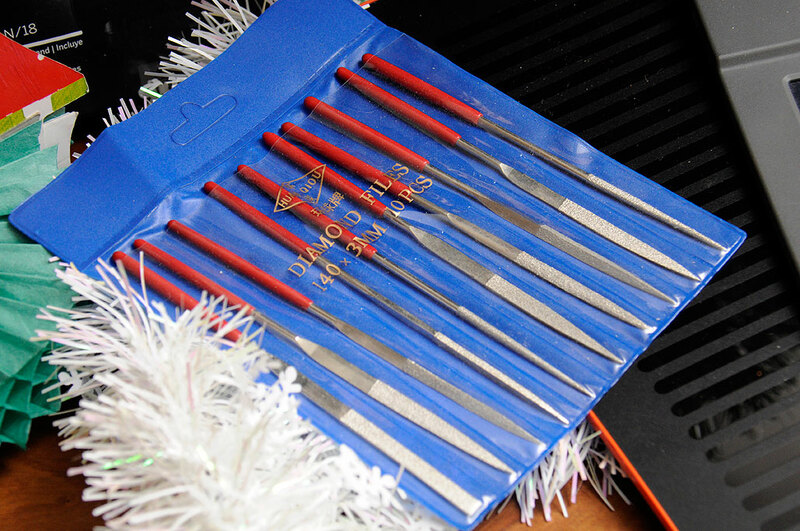 We have found that a good set of diamond-dusted hand files are an excellent addition to every hobbyist’s tool collection. They might not know they need it, but once they have it, they will wonder how they ever managed to along without it for so long.